There has been a bowling club at Torpoint since 1924, prior to this the site was occupied over a period of 300 years by three houses the last called Thanckes House was demolished in 1911 and moved (each granite block being numbered) to Portwrinkle and is now The Whitsand Bay Hotel. In 1923 a local business man Mr White got together with other business men in Torpoint and paid to have the green laid and a clubhouse built (known as The Roundhouse) it was eventually taken over by Torpoint Council and later by Caradon Council. The club was closed during the war and re-opened in 1949 with 54 members, the club Captain being LT Cdr J Evans. In 1964 Caradon Council demolished the Round House, laid a concrete slab and erected a club house by joining two Prefab Buildings together with an outer metal skin. In 1976 three members built a small extension to the front of the club house. A bar was built in 1986 to enable members and visiting teams to enjoy a drink after a match and bring in much needed revenue, the club remained virtually unchanged until 2005 when we took on a 30 year lease. The club location can be found by going to the web site and clicking on HOME and HOW TO FIND US. In 2005 Caradon Council informed us at a meeting at Luxstowe House “Either take on a 30 year lease or we will close you down down” At a special meeting of the members at the Conservative Club 100% voted to save a much needed facility and to take on a 30 year lease. 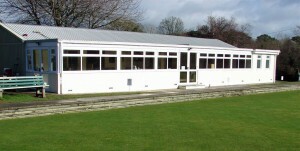 Although the members started to maintain the club house and green during the summer of 2006 the lease was not completed and signed until November 2006.The lease was straight forward apart from the annual rent of £100 per annum rising in line annually with inflation, we tried to get better terms on the rent but Caradon refused to budge. We did get financial help from Caradon in the form of parachute Payments spread over 4 years, £3,500 year one £3,000 year two £2,500 year three and £2,000 year four. Thanks to Councillor Eric Parkin £4,000.00 was granted by Torpoint Council spread over 4 years. 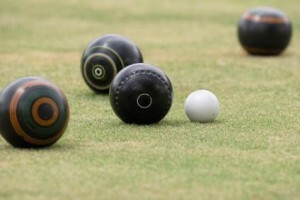 Despite these payments the club was forced to borrow £10,000 from Bowls Cornwall to buy the equipment required to maintain the green. The final copy of the lease is with our solicitor Trowbridges of Torpoint. With advice from the club secretary the members voted to apply to become a registered charity. The secretary after many hours of research finalised a Constitution and after several set backs on the application the club became a registered charity in 2007 (number 1112132). We adhere strictly to the Club Constitution and do not discriminate against age, race, gender etc. and the three Trustees ensure that all meetings and the running of the club is in line with the Constitution/Club Rules and the members wishes. As part of the lease and Constitution we are open to members of the public. The green is maintained to a very high standard by the green committee ably assisted by our own green keeper Keith Payn. When we took over the green Keith had a good knowledge of green keeping but attended several courses especially on use of fungicides etc. and is now as good a green keeper as you will fond in the county. For all his hard work Keith was awarded a Life Honorary membership at the 2011 AGM. Much equipment was required to take over the green and over the years £15,000 to £20,000 has been spent. A secure container was obtained at a cost of just over £1,000 with a grant of £500 from the CO-OP Community Fund, also recent purchases include new pushers and a very generous grant from one of our members, portable steps of lightweight aluminium with hard wood hand rails were bought which makes access to the green very easy. Bottom line, we have a green maintained to a very high standard with modern equipment with secure storage facilities and a good green Committee. Much information on the club house can be found by clicking on the menu under HOME and then on CLUB EXTENSION however, it is worth mentioning further improvements to the club house since we took on the lease in 2005. The bar was built in 1986 and enlarged in 1990 and named THE ERIC PERRY LOUNGE. Improvements to the bar includes a new beer cooler, glass washer etc. Barrel beer was done away with and we switched to canned beer. Grants were obtained to build a small store cupboard, water heater in the kitchen and new tables and chairs also, the ladies dressing room and toilets were decorated with new carpets laid (thanks to Derek Masefield). The ladies purchased a tea/dinner service to match the new tables. No club can provide good food and entertainment with out lady members and our ladies no matter how many numbers to cater for always rise to the occasion and provide excellent food, they are an indispensable part of the club. Bottom line – we now have a good size club house with good facility’s to provide short mat, skittles and entertainment. We have a green as good as any in the county with membership holding steady at 60 members. The club has two teams in the N.E. Cornwall League the “A” team play in Div 1 and the “B” team in Div 2. We also play in the Plymouth and District League most Saturday after noons. Results and selections can be found on the menu site. The ladies have their own matches in the N.E of Cornwall, mixed friendlies are also played making a busy schedule from May through to end of September. In the winter the club has three or four teams playing in the indoor green at Liskeard with good results, one team in 2011/12 winning both Div 1 and the Handicap League.